Our best fitting women's boxer! Our fashionable women's cut boxer features a 1" inseam, imprintable elastic band, false fly with buttons and comfy fit. Perfect for lounging around day or night. Constructed from 100% cotton flannel. Imprint the inside elastic with a custom instock print. Our best fitting women's boxer! Our fashionable women's cut boxer features a 1" inseam, imprintable elastic band, false fly with buttons and comfy fit. Perfect for lounging around day or night. Constructed from 5 oz. soft jersey knit. 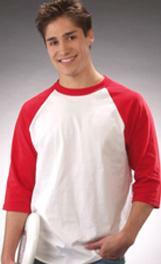 Imprint the inside elastic with a custom or instock print. 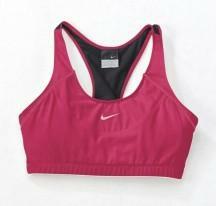 -Pre-shrunk 90% nylon 10% spandex racerback sport bra. -Double layered for extra support. -5/8" binding at neck and armhole with 3/4" elastic bottom opening. Fine rib cotton interlock with 3.5% spandex (Heather Grey: 86.5% cotton 10% polyester 3.5% spandex), 5.3 oz., scoop neck top with set-in sleeves, boxer short has an elastic waist, fake fly, both have double-needle stitching and are slightly oversized for comfort. 90% nylon/10% spandex knit jersey. Double layered racerback sports bra for extra support and mobility. Mesh racer back allows for increased ventilation during any sport.